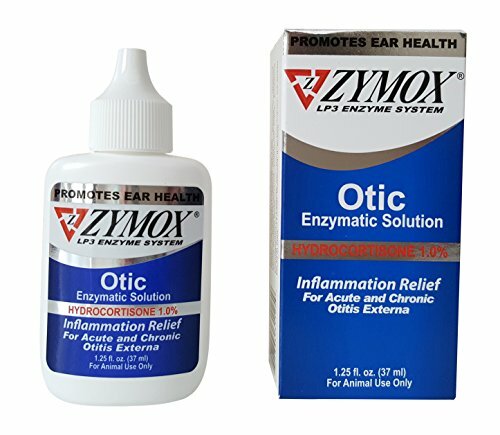 Details: Zymox Otic Enzymatic Solution for dogs and cats treats the external ear for acute and chronic inflammation caused by bacterial, viral, and yeast infections. Hydrocortisone provides relief from itching, inflammation, redness and swelling. It will not work if used with other topical ear medications or cleansers. Zymox Otic Enzymatic Solution without hydrocortisone is available for dogs and cats with irritated or broken skin.